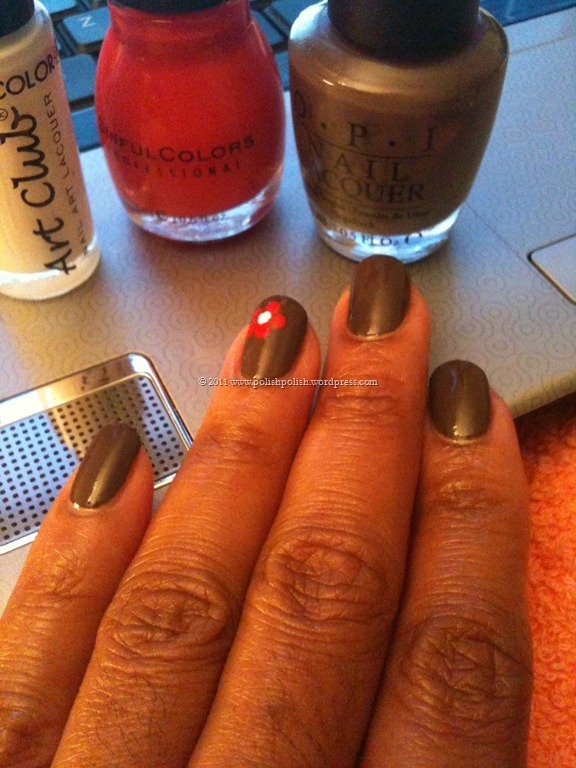 I love requests for polish….. this one I especially loved. This was a wonderful impromptu selection…from an incredible “selector.” The request started as: “a nice warm, autumn-like color, let’s say a gray”…. then the request progressed to a “rich chocolate”. The result: better than I could have EVER chosen by myself. Perfect for the season and the Thanksgiving holiday. I have SO much to be thankful for! Too many things to count on my happily manicured fingers . 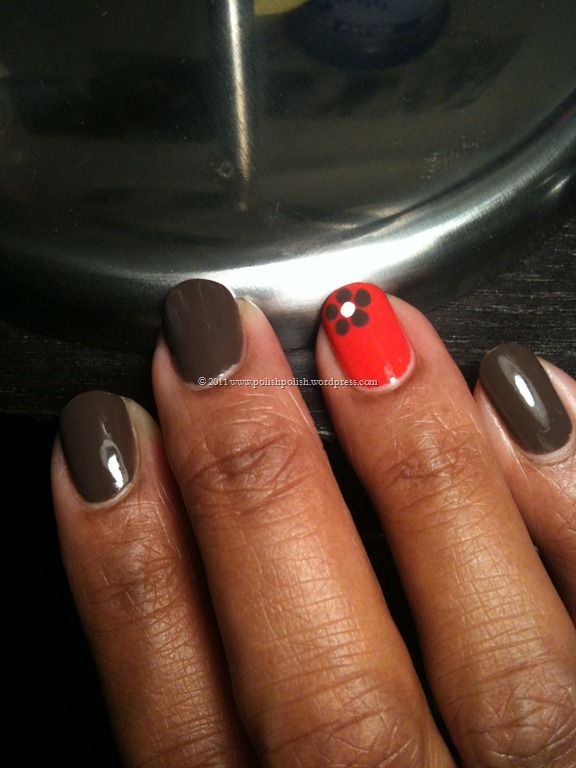 This entry was posted in Nail Art, OPI, Sinful Colors and tagged autumn, mocha gray, thanksgiving, timbleberry, You Don't Know Jacques. thanks lady! actually this is one of the EASIEST designs to do. it’s all just dots. I will try to find a video tutorial for you. It’s SUPER easy!!! http://youtu.be/Ay99VIxzwmo Here’s a link to cutepolish’s video tutorial; short and to the point! I love this color! It’s so rich but soft at the same time. I must try it! yes! try it. I think you would like that color. Reminds me of a neutral but like you said, has a rich tone.